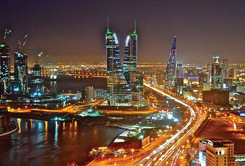 Bahrain has been ranked amongst the world’s top 15 most economically free nations. The hospitality sector in the Kingdom has been developing at a fast pace to meet the growing needs of the tourism industry. Bahrain’s Hospitality & Tourism industry is poised to grow 7.6 per cent this year thus contributing to increased human resource development and training in the hospitality, travel and tourism sector. 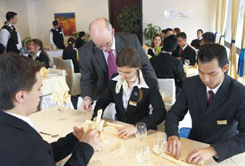 The BIHR campus is in a pleasant western suburb of the capital city, Manama, and has all the facilities one would expect of an international hotel school, including training kitchens and restaurants, a front office and housekeeping laboratory, a learning resource centre and state of the art information technology including campus-wide wireless facilities. Furthermore, BIHR is the only institute in the kingdom to provide student visas. With an expat population equaling one fifth of the country’s total population, Bahrain may not rank first among the Gulf states. However, the significant numbers of expats living in Bahrain testifies to the fact that expat life in Bahrain can be very accommodating. Expats moving to Bahrain will fast find themselves living the high-life, loving the low-slung sea shores, and enjoying the medium-blend of modernity and more traditional Muslim culture. Bahrain itself offers all the usual activities that one would expect of a modern state including multiplex cinemas and regular live concerts and other music events. A major event in the Bahrain calendar is the annual Formula 1 race.